While they are wonderful pets, rabbits need a lot of attention and care. 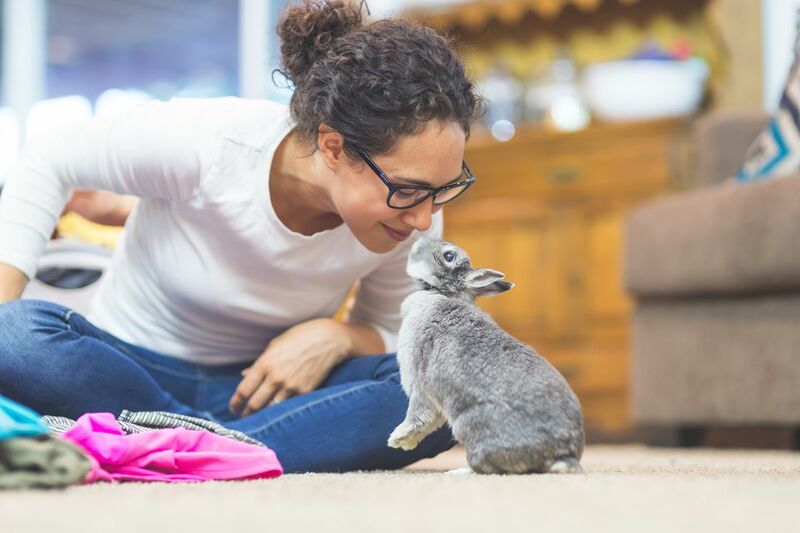 Rabbits have recently become quite popular as house pets, and our understanding of their dietary needs and social behaviors has improved greatly over recent years. The following books offer a wealth of advice on both the proper care of rabbits and understanding their behavior. 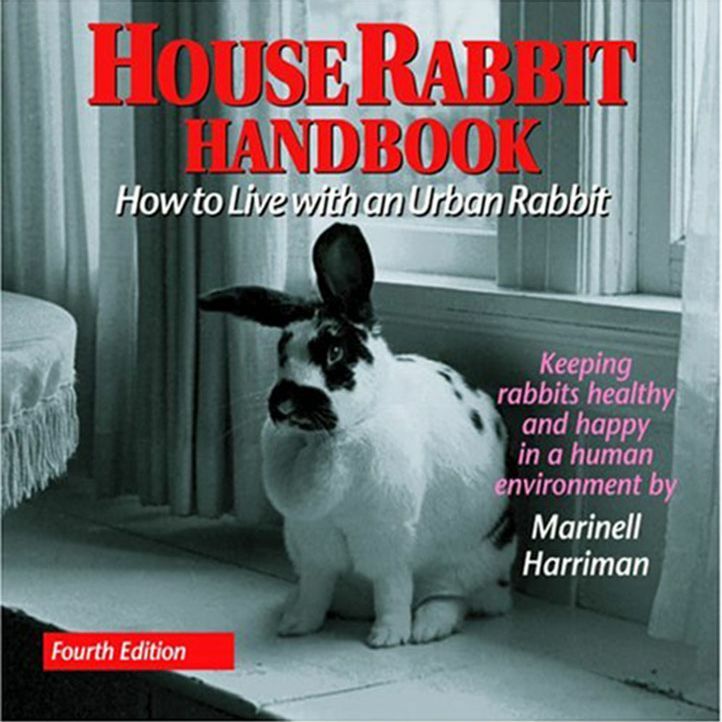 "House Rabbit Handbook : How to Live With an Urban Rabbit"
By Marinell Harriman, this book is widely considered to be one the best book available on keeping house rabbits. It is an all around excellent book, for both its advice on the proper care of rabbits as well as advice on making a house rabbit a welcome member of the household, with good coverage of topics such as rabbit proofing and litter training. A good addition to the first pick, this book by Anne McBride delved deeper into rabbit behavior. It will help you understand the reasons behind rabbit behavior and what you can help do to redirect undesirable behavior. An introduction to rabbit history and behavior in general is followed by a thorough list of specific topics. This book follows the format and conventions of others in the series, and provides a good base of information about the care of pet rabbits. "Rabbits for Dummies" is a good reference book for many aspects of rabbit care, from feeding and housing to interpreting bunny behavior and dealing with bad behaviors productively. By Karen Gendron, DVM, this book is more of an all-around reference to rabbit care. The book covers care of rabbits and understanding rabbit behavior, as well as a multitude of other topics including history, folklore, showing, breeds (mostly descriptions, few photos) and a bit on breeding. It is a good introductory book on rabbits as pets. By Betsy Sikora Siino, "The Essential Rabbit' provides decent basic information on important topics such as feeding (though it would be nice to give amounts in cups rather than ounces), housing, and bunny behavior, and is illustrated with many lovely photos. Not as in-depth as the other books here so not ideal as a sole reference for the rabbit owner, it is a good introduction to pet rabbits.